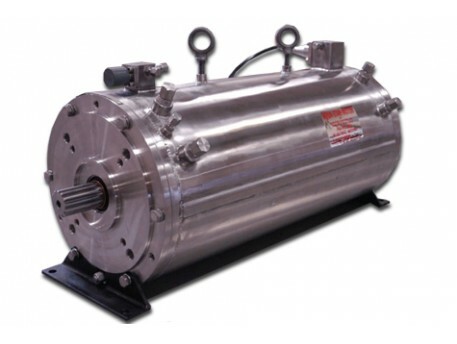 Sun-Star Electric L.P. specialises in all aspects of submersible electric motor operation, performance, and design. Due to industry demand for readily available quality parts, we redesign and machine major components of other manufacturer's units for repair and remanufacture. The Aqua Star motor can be engineered and designed to specific applications and requirements in both water and oil filled. Sun-Star Electric L.P. has manufactured hundreds of Aqua Star ROV Motors for new vehicles and applications and for refitting existing units. The Aqua Star is designed and engineered for a precision fit. Strict quality controls ensure longer service life, and historically reliable service. The winding wire and other components are all oil resistant, class F or higher materials. Our voltage is from 460 volt to 6600 volt. The winding wire exceeds inverter duty ratings all windings are tested to meet applicable NEMA and IEEE standards. The standard stator casing material is corrosion resistant 316L stainless steel. This provides superior casing strength and allows a lamination design for increased horsepower per weight ratio. The motor employs a rotating mechanical seal or double rubber seals for sealing at the shaft. The anti-friction ball or roller bearings are resized to exceed normal requirement sand insure a long service lift for motor operations. The power leads are a continuous cable configuration utilising a PBOF design from the junction box to the motor. A sensor hub option is available for temperature monitoring and water ingress detection. 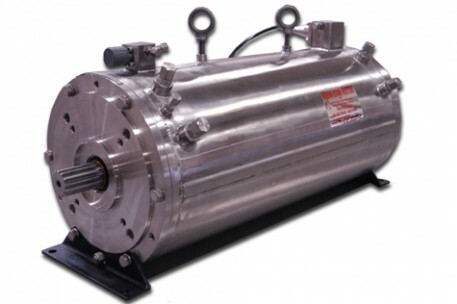 The motor can be a single or double shaft configuration.